Team JFAUK have now returned from Riga, Latvia whereby they were competing in the 2017 CSIT World Sports Games. 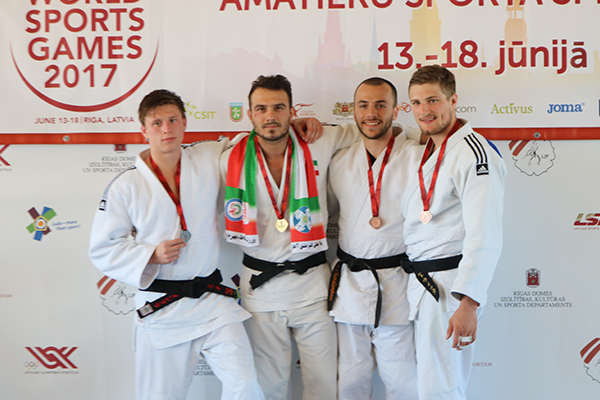 The team were successful, and managed to come away with two bronze medals; one from Samuel Charalambous in the mens -73kg category and one from Ross Elliot in the mens -100kg category. Sam Sampson finished 5th place in the mens -81kg category, Jason Baird finished 7th, also in the mens -81kg category and Phillip Bloom finished 7th in the mens +100kg category. 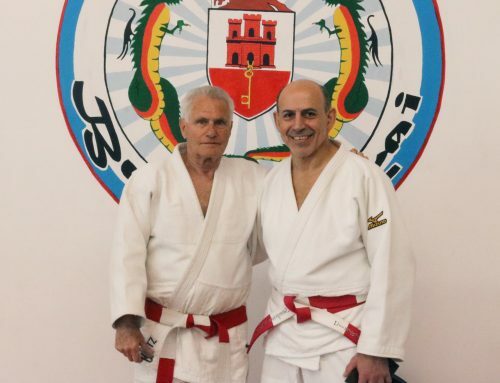 The event proved to be extremely tough, with many high level judoka from across the globe taking part. The event began on Tuesday 13th June whereby the team took part in a large opening parade and ceremony. During this, the team walked through the streets of Riga with the thousands of other competitors before entering the stadium whereby a show took place to mark the start of the games. 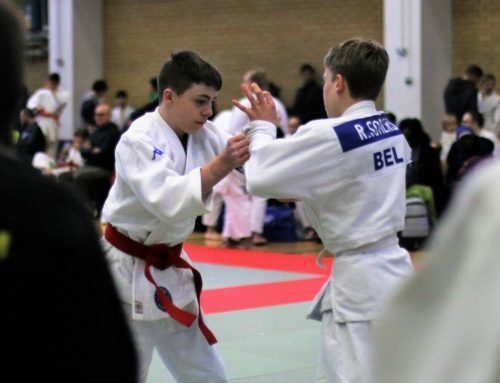 On Wednesday 14th June the team were able to make use of the competition dojo to conduct a light training session to warm up their bodies before the big competition day. On Thursday 15th June, it was time for each judoka to step on the tatami and attempt to add a world medal to their list of credentials! 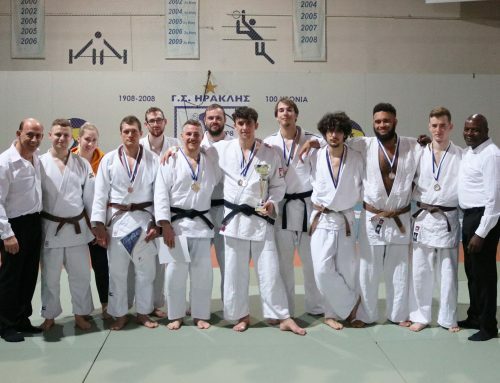 All in all, the team managed to come away with 2 bronze medals out of 6 competitors at a very high level tournament. Well done to all team members who took part in this tough event. Team JFAUK will be returning to the international scene shortly as they will be off to Greece at the end of June for the 2017 Matsuura International Cup!